This topic is about the Heron Rocks nest and its territory. This territory includes the Heron Rocks Cooperative Campground, the western part of Olsen Farm, Toby Islet, the collection of reefs that the territory and campground are named after, and Norris Rocks, a series of larger reefs further away offshore. 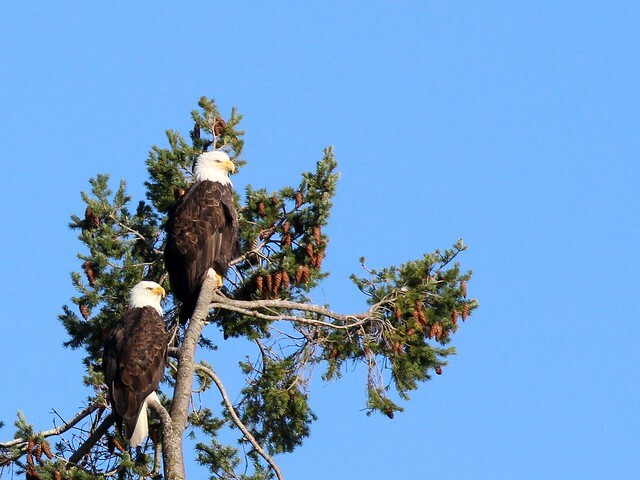 A few years ago, the eagles built a new nest on the Olsen Farm part of their territory, so that confused the issue somewhat. 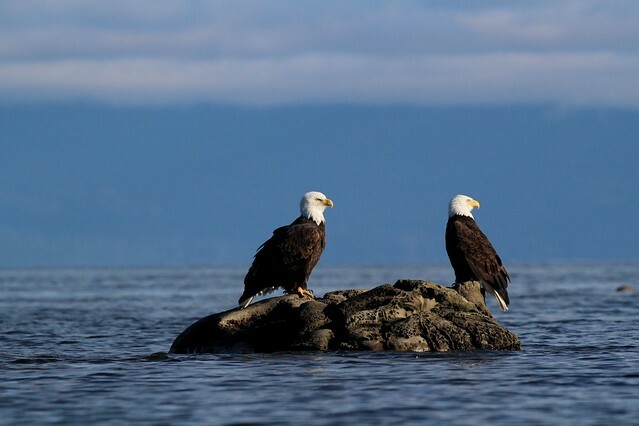 In the winters I often see a pair of eagles perched above the campground, near where the nest used to be, in addition to the pair perching near the new nest or on the reefs, and this further confuses me. I have not been able to locate another nest, so far. 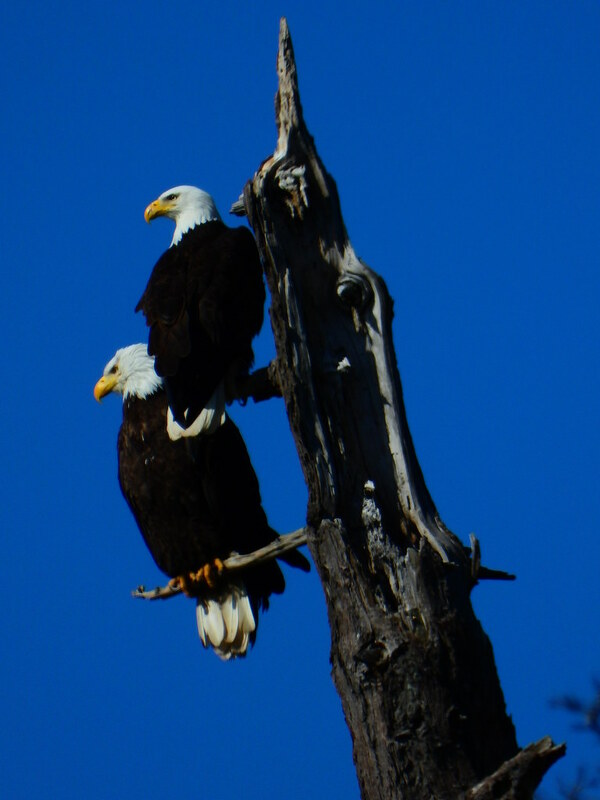 Last year, the known nesting pair had 2 eaglets. 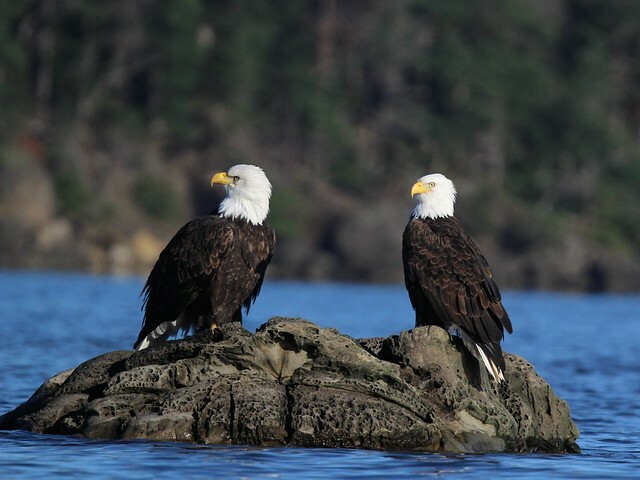 They are often among the last to fledge among the island eagles. Click here to find last year's postings about this nest, and a link to the previous year. December 2. Kayaking from Ford Cove, which is full of krill, to check if that is the case elsewhere. There are a few large flocks of gulls feeding out in the channel but by now they have moved west of here and are starting to drift north. 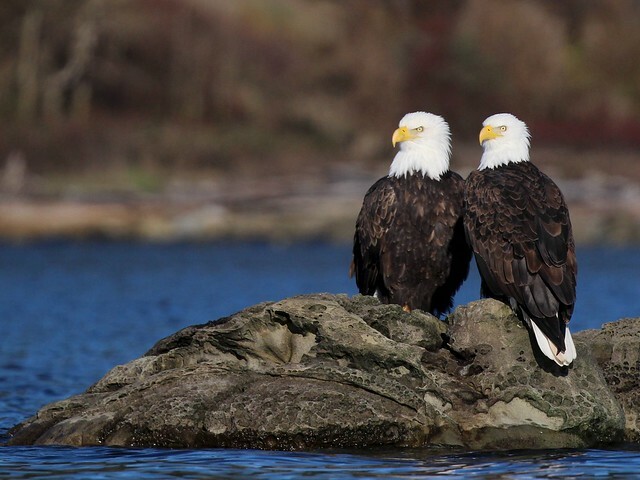 As often, a pair of eagles is perched near where the last campground nest sat for a couple of years. 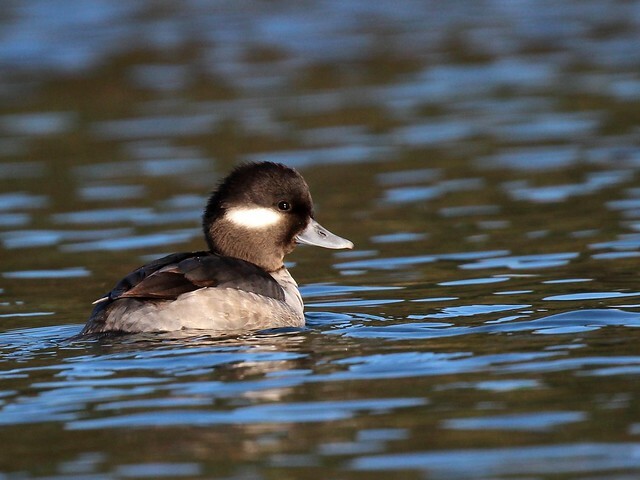 Around the corner, behind Toby Islet, no krill; the usual seabirds are here, including this female Bufflehead who let me drift close enough for a portrait. 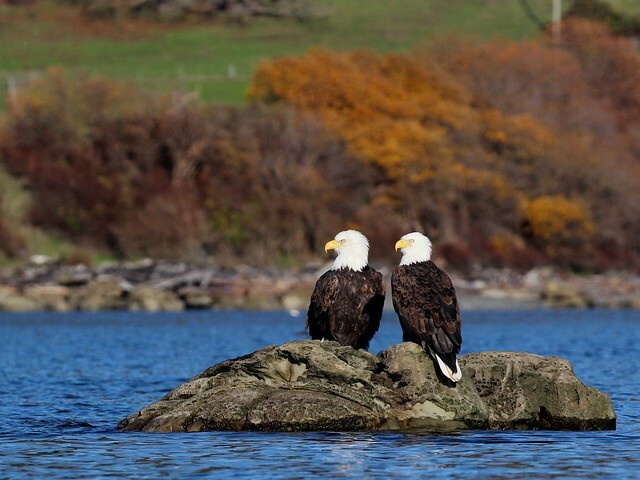 It's high tide but there is still just enough room for another pair of eagles on the largest Heron Rock. The other pair are still in their tree above the campground. 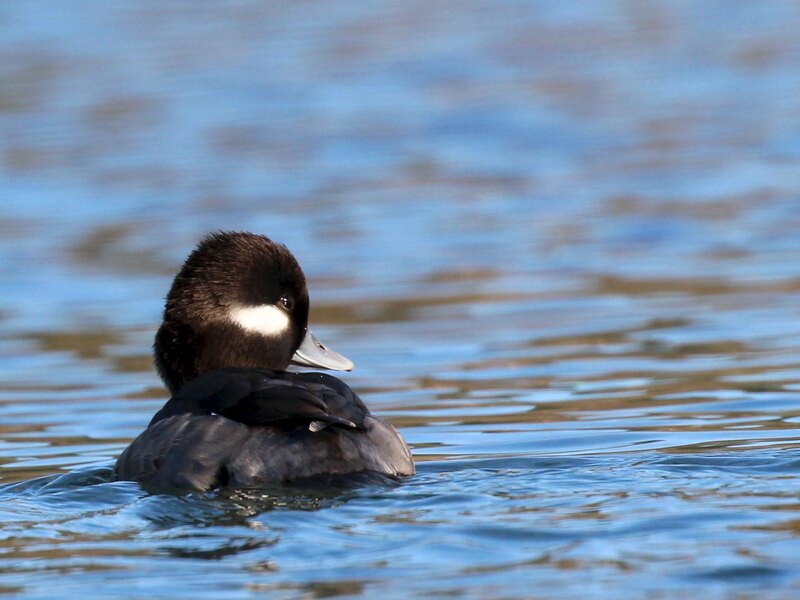 The background is changing because i'm paddling my way around the rock, slowly so they don't fly away. wonderful photos! this will be a very l o n g seson - almost 11 years? We went for a walk in the Sun shine at Heron Rocks. 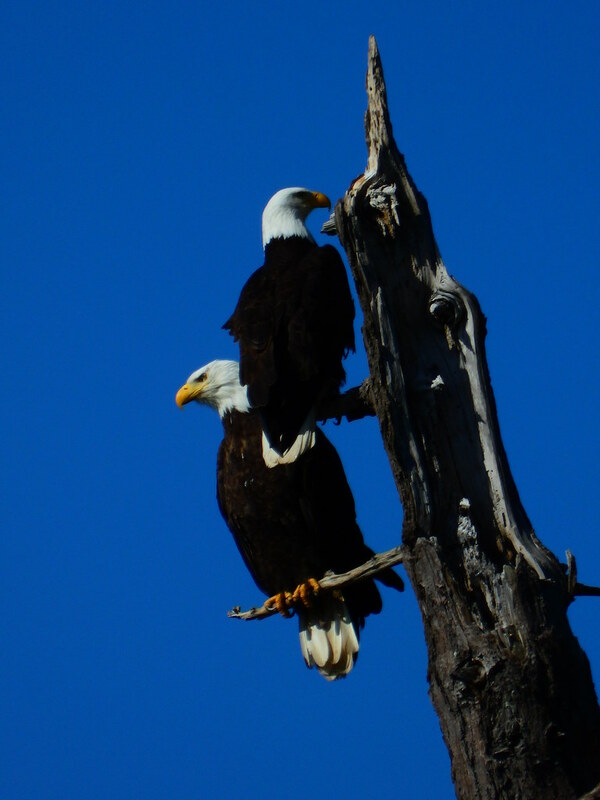 As we came down the driveway towards the water, an Eagle was in the usual perch Tree to our right. 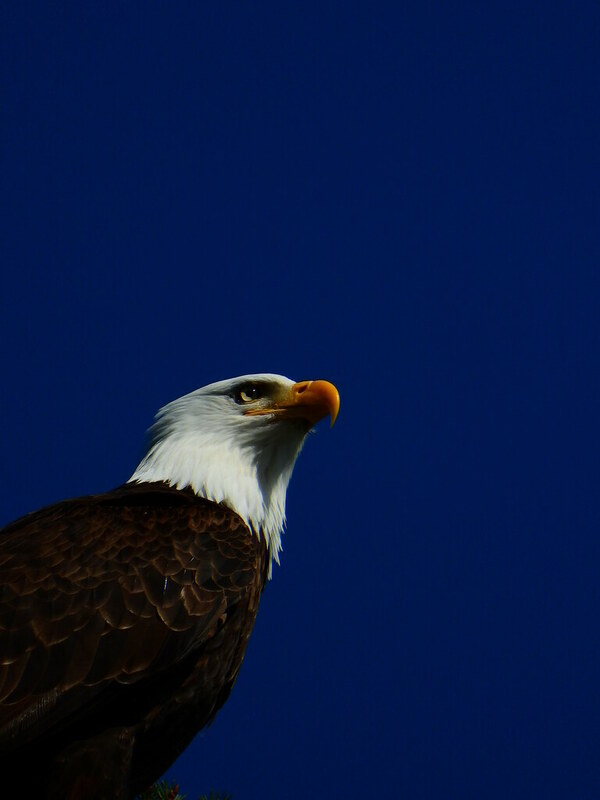 Suddenly another Eagle appeared to our right & the first Eagle chased them! 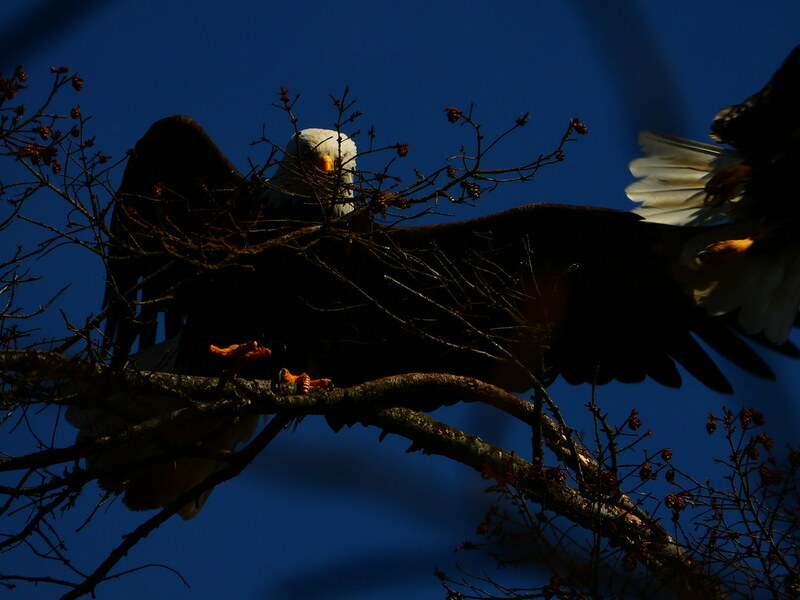 You could hear feathers clashing with feathers & branches as one flipped upside down right at Tree top level, & they both spun to the ground at high speed. Just before they hit they let go & soared off. i believe these are the Heron Rocks pair. Here*s the male, nearby over our heads. 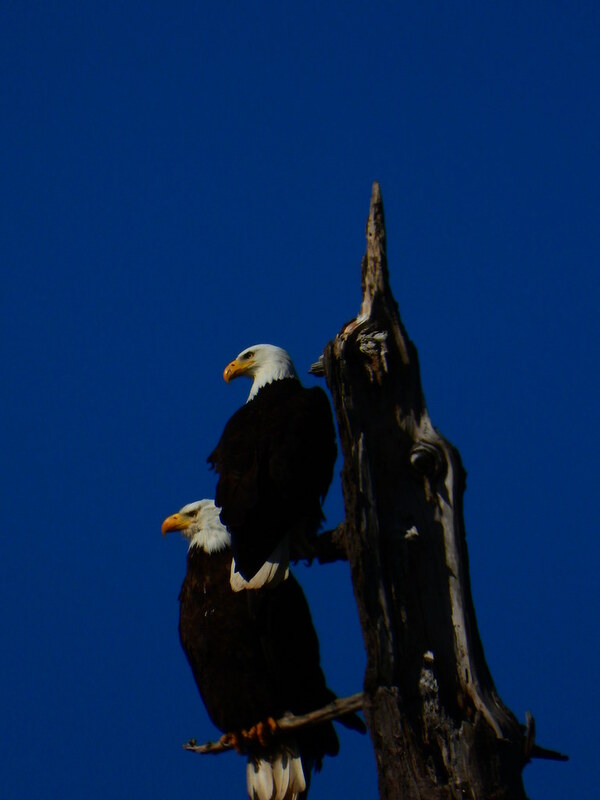 i was trying to get a foto of both of them perched side by side when they blasted off before i could.